Central Kalahari Game Reserve is a magical place and one leaves feeling that you were privileged to have had an opportunity to witness such an amazing environment. Even at the end of the dry season one is stunned at how much life survives here. Each plant and animal has its own special survival technique. 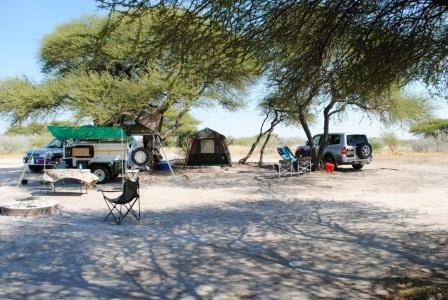 We have been to Central Kalahari Game Reserve twice, once at the end of the dry season and once in the “rainy season”. Our last trip was in February 2015. Remoteness, quietness and minimal vehicles. Central Kalahari Game Reserve is located right in the middle of Botswana and is the countries largest reserve. We have always entered the park at Matswere Gate, which one gets to from Rakops. There are another two gates though. The 54 km road from Rakops is dirt. The first 10 km, the first time we went was terrible, but it has been recently been graded (Feb 2015). There is no fuel in the Reserve so you need to full-up in Rakops. Both Deception and Kori Campsites offer the same facilities – cleared land, shade, fire pit, long drop toilet and bucket shower – there is no water or toilet paper provided. We have stayed in Deception 4 and Kori 2, both are very nice camps. All rubbish must be removed by yourself and ashes from fires buried. As mentioned we have been at the end of the dry season and in the “rainy season” – not much rain this year. At the end of the dry season it is a stark, but beautiful and a very harsh environment. In the rainy season it is greener and more grass cover, but careful of muddy conditions. You need to be totally self reliant and fully equipped with fuel, water, wood, toilet paper etc. Our best drives on both trips has been down Deception Valley to Letiahau Waterhole. 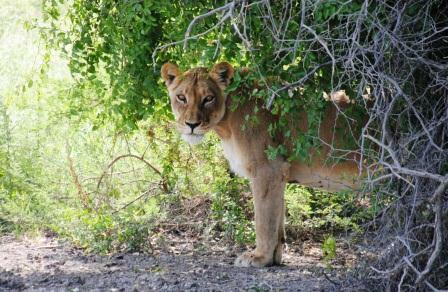 Posts I have written about Central Kalahari Game Reserve. Very informative. Useful for travellers. Pictures lovely. Steenbok and Ground Squirrels my favourite.